Many people suffer from allergies and other conditions that can have an effect on the health of their sinuses, nasal passageways, and lungs. If you're one of those people and have been looking for a way to boost your sinus health, Metagenics offers a reliable and all-natural option. Nazanol is a vegetarian supplement that has been used by the Chinese to support optimal sinus, nasal, and lung health. 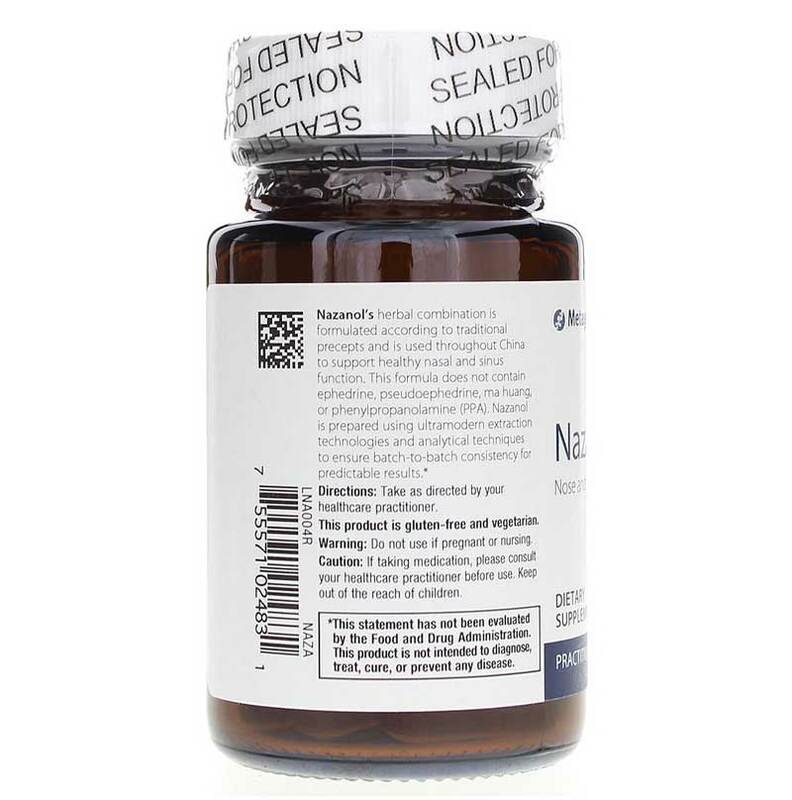 Nazanol comes in a tablet form that is high-concentration, but low-dose. Make the choice to keep your sinuses, lungs, and nasal passages clear, healthy, and functional. Start using Nazanol from Metagenics today, and stay on the natural pathway toward optimal overall health and wellness. Order yours now! 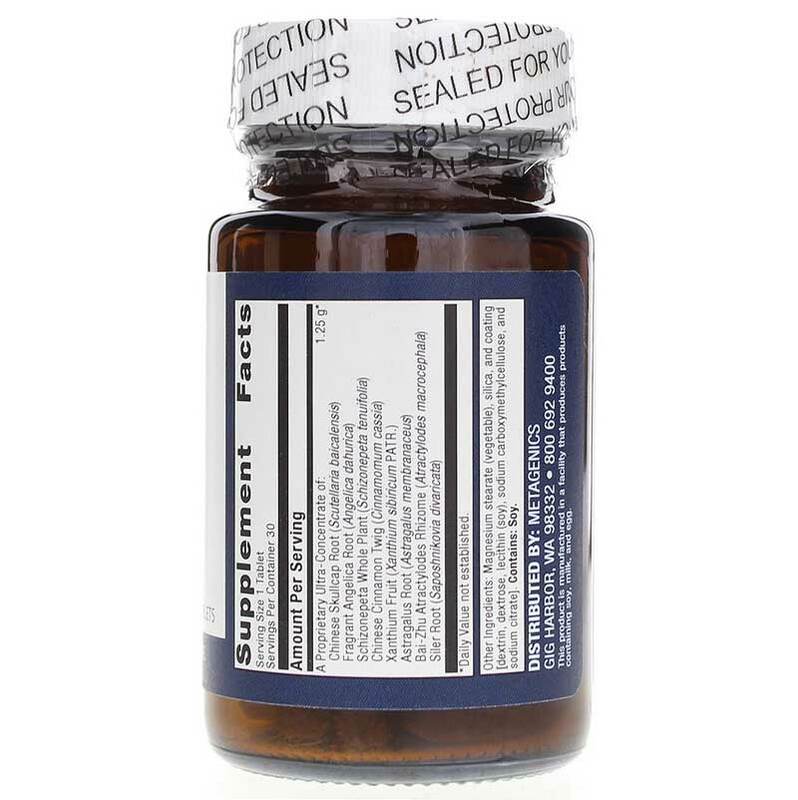 Other Ingredients: magnesium stearate (vegetable), silica, and coating (dextrin, dextrose, lecithin (soy), sodium carboxymethylcellulose, and sodium citrate). Adults: Take as directed by your healthcare practitioner. Do not use if you are pregnant or nursing. If taking medications, consult your healthcare practitioner before use. Keep out of the reach of children. Does a great job, it really works !